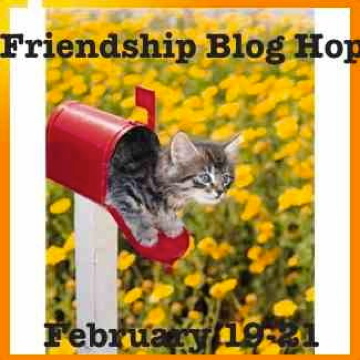 Hello, and welcome to those of you joining for the Friendship Blog Hop, sponsored by Jennifer at the Crafty Card Gallery. I am so pleased to participate in this Hop because your friendship means the world to me. Thank you to my followers -- long-time and new -- for your support and kinship! I am Hop Stop #23 ... you're welcome to join in this hop at any point (including here! ), and hop along. If you want to start at the beginning, click the link above to go to Jennifer's blog. 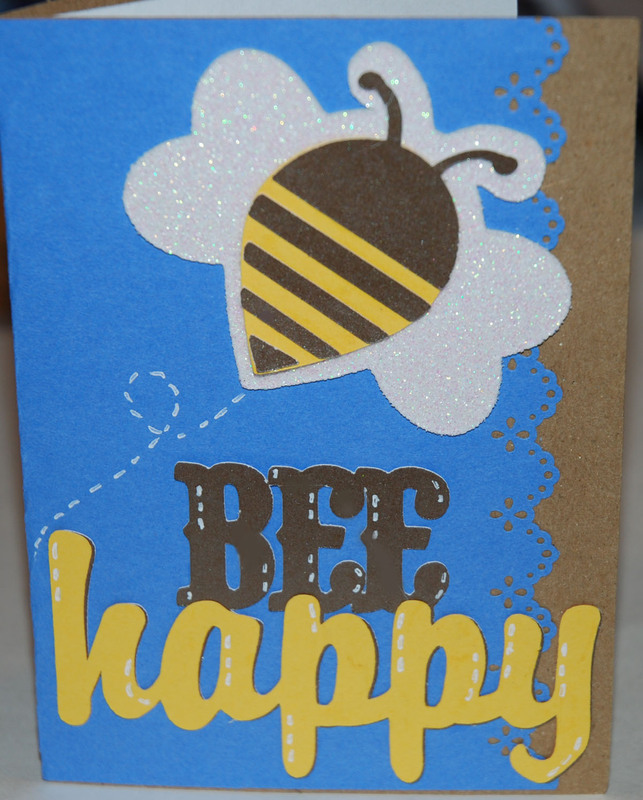 The pack includes cards that my friends can then send on to their friends for a variety of occasions. There is one birthday card, one get well, and the rest are just general greeting cards. Inevitably though, my friends won't mail these on ... maybe I should include two of each, so they feel comfortable sharing! word "BIRD". Gem for eye. 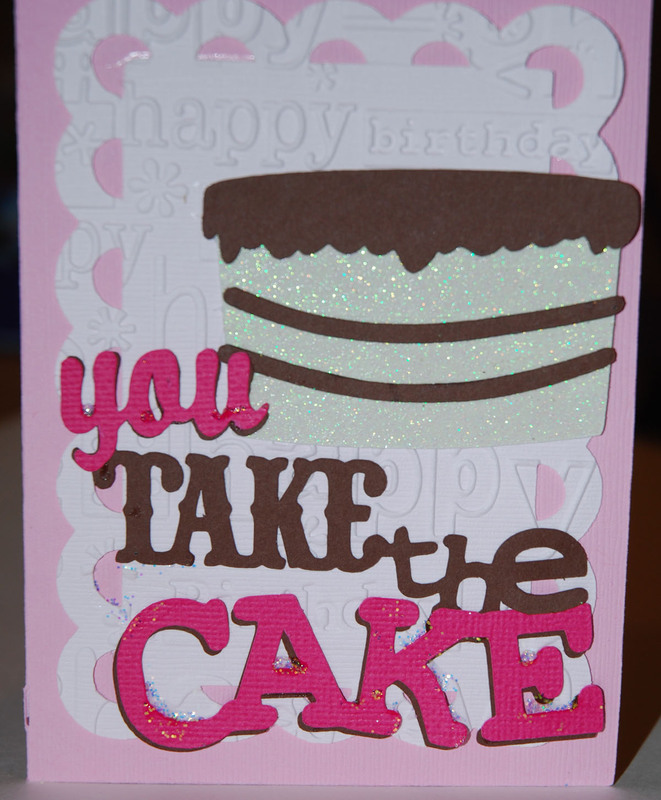 Pink card, white Cuttlebug-embossed ("birthday") insert. 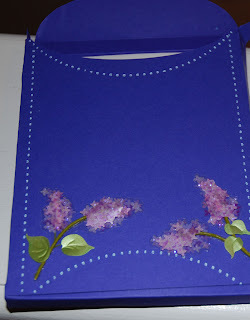 Happy birthday Cuttlebug folder embosses the front. 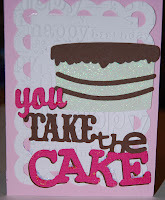 Stickles accent the word "CAKE"
double loops punch for trim. flight line of the bee. BLOG CANDY: What's a blog hop without candy?! When I am not papercrafting, I am beading. 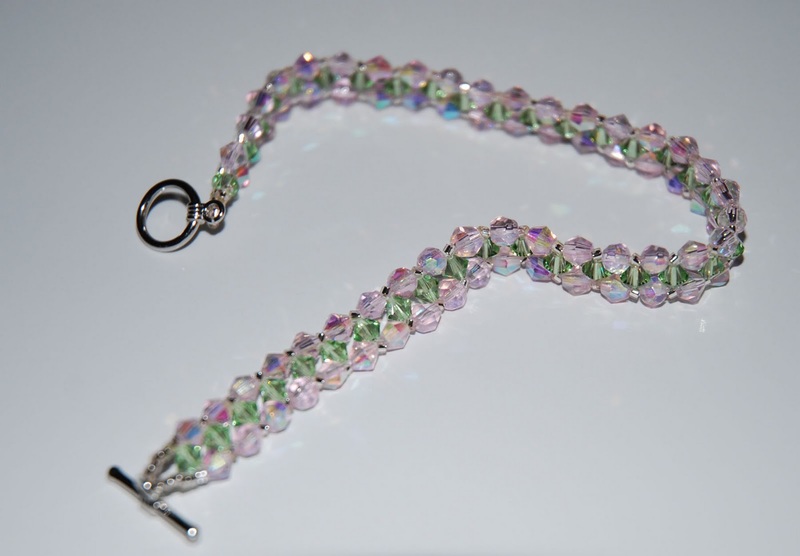 My favorite project to make and sell are "woven" beaded bracelets using Swarovski crystals, like the one shown here. 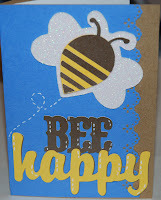 I've made one similar to this one (different colors, length) for the winner of my Blog Candy giveaway. 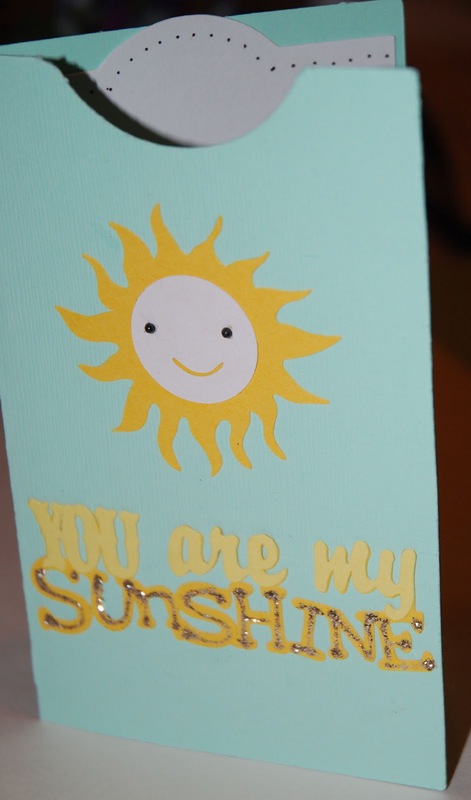 Value: $35 sold in stores; priceless in that it's made by your very own CardMonkey! TO WIN: Just two steps: either be or become a follower, and leave a comment below. Please be sure to mention a way for me to contact you, should you win. UPDATE: A winner has been selected by Random.Org. Congratulations to #3 of 41, Sigrid of www.lovescrapreflect.blogspot.com. Please feel free to leave comment(s) though, as you know I always ♥ them! This Hop is now over, so I will remove the line-up to conserve space. Let's meet next time over a cuppa'joe. Cheers! P.S. Don't forget to stop back next week, when I will be hosting the Motions and Folds Card Hop (February 26). 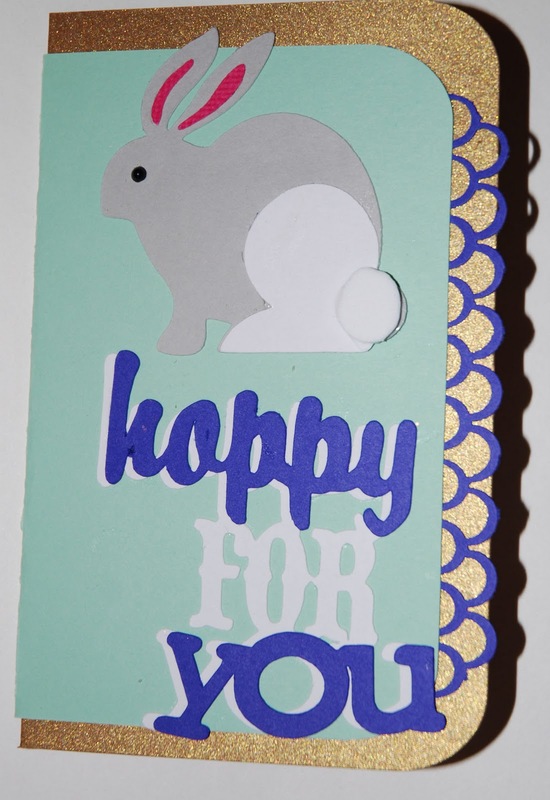 There are 15 of us who have made cards with unusual techniques that you'll want to try! p.p.s: I know I've held you here long enough, but seriously, don't forget to ALSO post on my next message (scroll down). 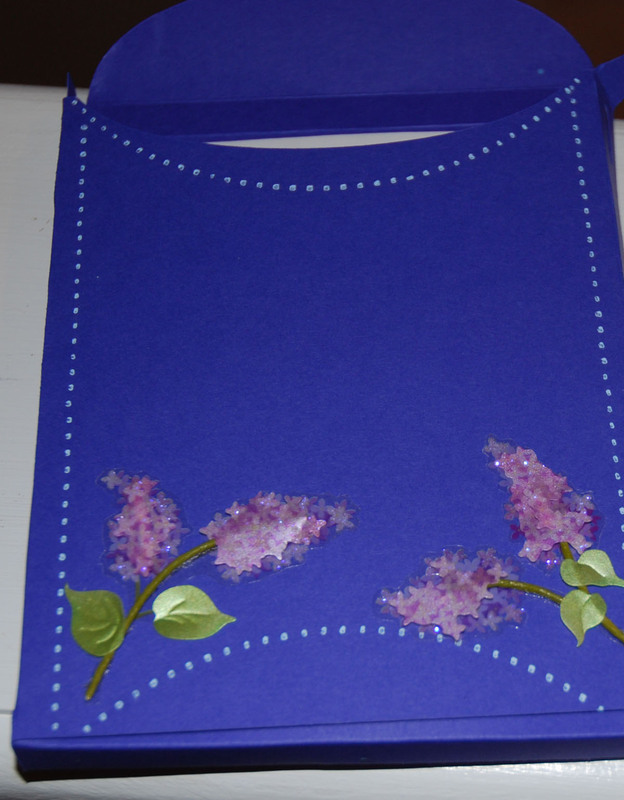 On "Fairy Cut Fridays" I describe a craft I've made using Fairy Cut software. If you post there you'll be eligible to win a free FAIRY CUT SOFTWARE license ($99 value), drawn monthly. Check out GLASS ETCHING on the next post down! Where do you get sooooo many great ideas? Thank you for your inspiration! That Cart really is the best for really cute cards. Great Job girlie. Very nice cards. This would be a wonderful gift. Fun gift set. Love how you decorated your box. Fun fun gift set, love it! Love the card set! They're Adorable! I'm your newest follower! Great card set. Also great giveaway. Great Cards! I love the bracelet too! I do some beading as well, just haven't had time lately! Love your card set. Thanks for a chance to win. Following now and looking forward to more of your creations. I love all the cards. You are so creative and I enjoy everything you share with us. Love all your cards so much..TFS! Great card set,I love it. You are so Punny today! Wow, these are great! What a fantastic gift idea! Thank you so much! And I'm so happy to be a new follower, love the inspiration! Which cut for tags bags and boxes is the box? What a great gift idea! Very very cute! Wow, love the set....all the cards are great. Wow! Im just amazed of how created you are! Thanks for sharing your amazing work! Newest follower! Great cards! Too funny that your friends don't pass them on though! I love all the cards you made. Your projects are great, love them!!!! I just had to hop over and become a follower, your blog hop next week sounds like something I would be interested in!!!! I am sure I will have fun following you, gonna put ya on my blog so I can see when you post...excited!!!! Moe Creations... thanks for the opportunity to win! The colors on all the cards are just perfect. What a great gift! I am sure they love getting the card set!!! Oh my thanks for stopping by my blog and inviting me here.. 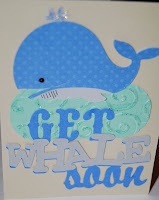 I will be back next week also for the blog hop!!! With bells on!@!! lovely cards :) Thanks for sharing! What a great gift set you made. Very creative. I'm already a follower. Thanks for a chance to win a fab bracelet. 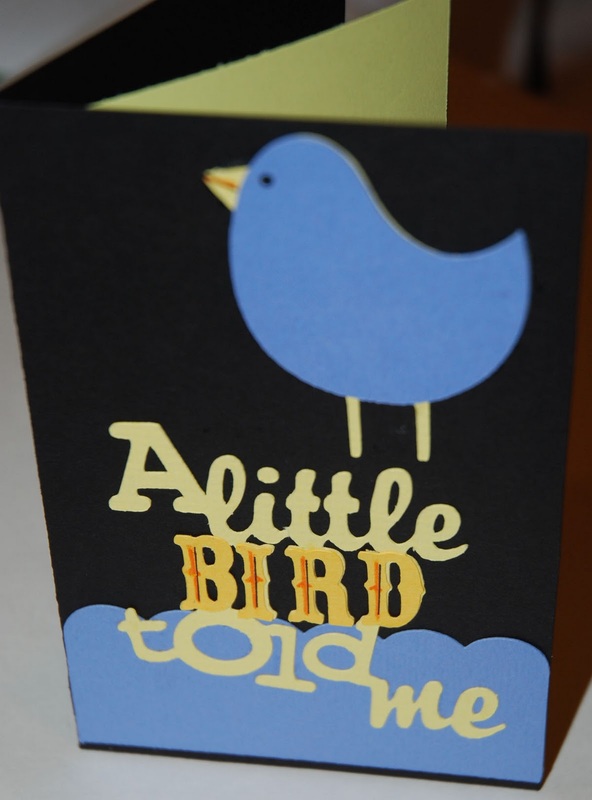 What a great group of cards with fabulous sentiments! The blue paper card and its holder give a new touch ,if you can use in red color this card gift looks become more pretty ,try it.